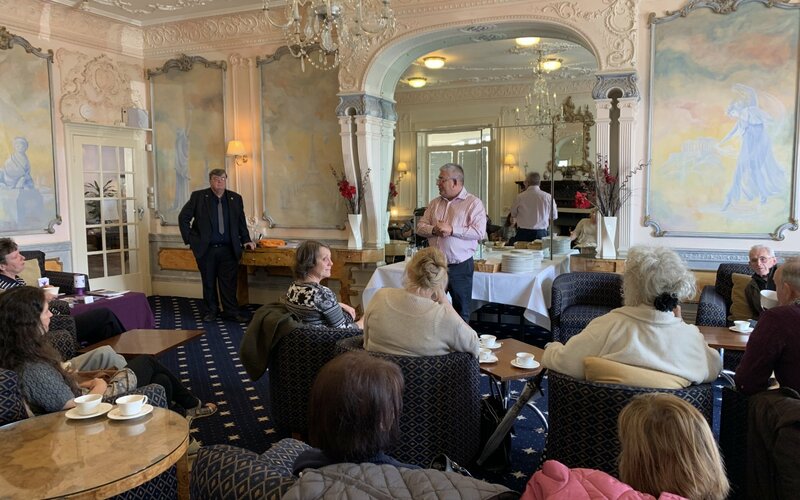 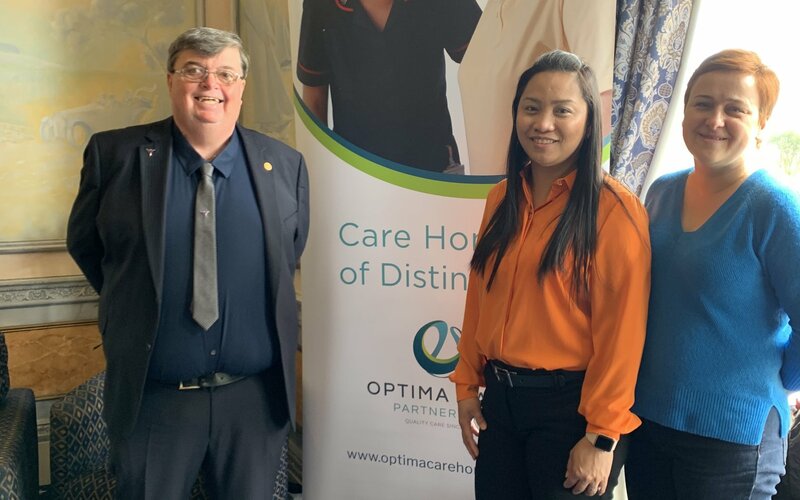 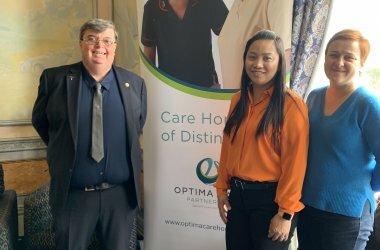 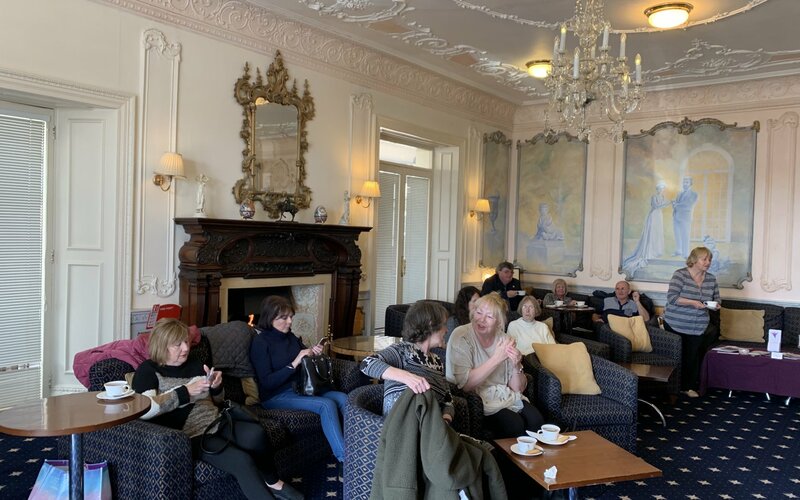 Primley Court Manager Clarissa Bautista and Clinical Lead Anna Rumik welcomed award winning Dementia awareness campaigner Norrms McNamara and his wife Elaine to its Family & Friends Dementia Social Support Group Lunch held in the Place Hotel, Paignton. 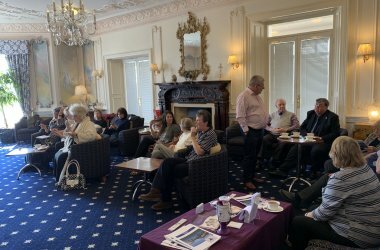 Norrms set up the Purple Angel organisation in 2012 to improve the public's understanding of Dementia and support carers and people living with Dementia creating over 600 world wide ambassadors a project spearheaded from Torbay. Campaigning with Dementia friendly communities, Memory Cafes and other initiatives thanks to Norrms The Purple Angle continues to grow and strive to make sure those with a Dementia have a right to enjoy life. Family's from Primley Court learnt more about living with a dementia, coping with the condition and advances in treatment and support. 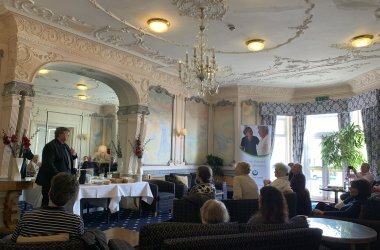 Fascinated by Norrms stories and humor many family members have asked to take up a free unique music product to help those living with dementia enjoy a good quality of life. 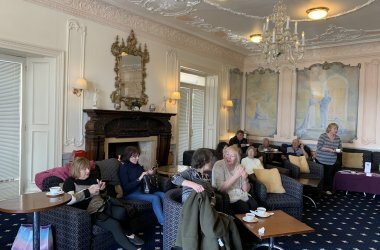 Pre loaded MP3 players with playlists in a range of styles of song and sound can soothe and stimulate memories. 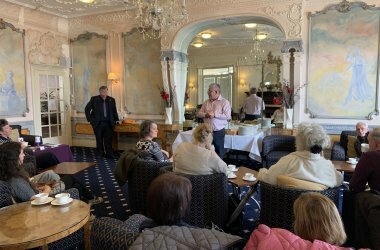 The Primley Court Family Support Group meeting is held quarterly each year and is attended by members of the Companies Leadership Team; hosted by its operations and senior clinical support staff and often join by colleagues from the NHS and local authority business, social and nursing care profession who are on hand to chat through any issues a family may be experiencing and requires support with in a relaxed social setting provided by the hosts The Optima Care Partnership.